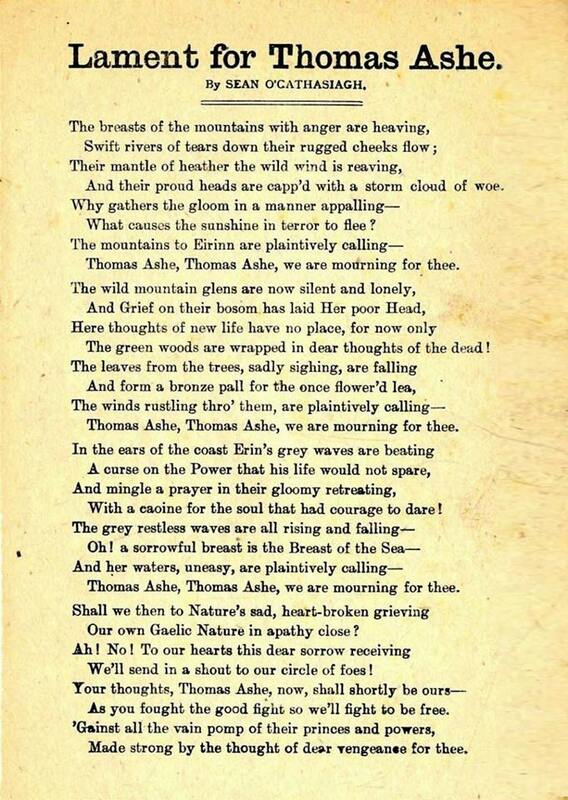 That was the entire oration delivered by Michael Collins at the graveside of Thomas Ashe on this date, 30th September 1917. 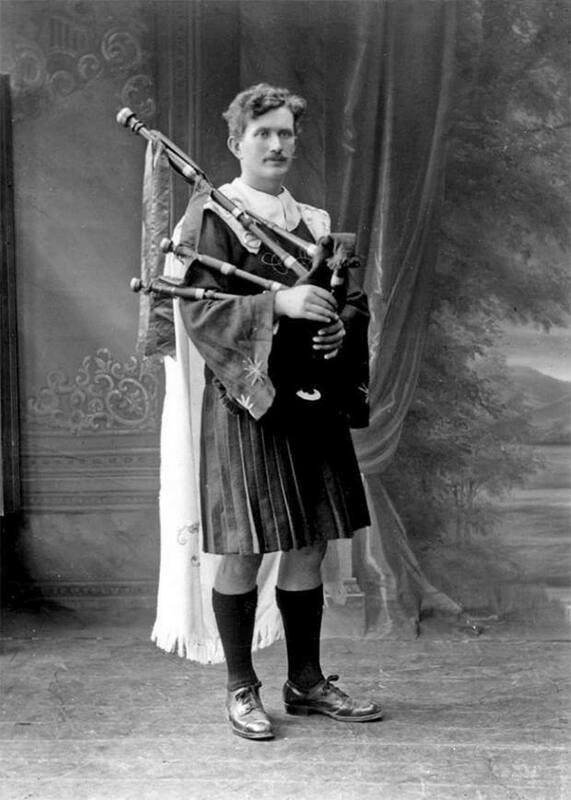 Thomas Ashe was a member of the Irish Volunteers and in Easter Week led one of the most successful engagements of the Rising at Ashbourne . He was sentenced to death for his role but this was commuted to life imprisonment and he was released as part of the general amnesty. Two months after his release he was arrested for making a seditious speech and sentenced to two years jail. When the prison authorities refused to grant political prisoner status Ashe and other republicans began a hunger strike. A brutal regime of force feeding was introduced, which led to his death in September. His funeral was a momentous occasion for the Republican movement – his body lay in state at City Hall before making it’s way to Glasnevin Cemetery, followed by 30,000 mourners. 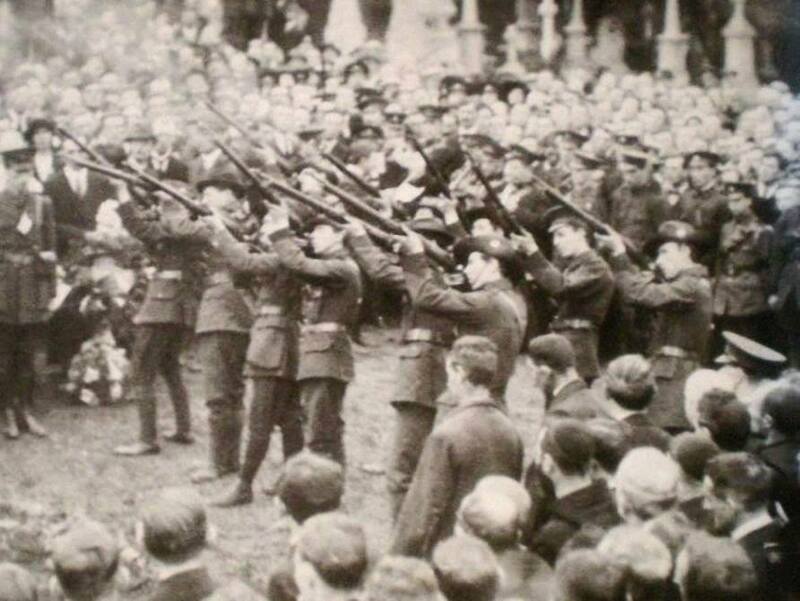 Members of the Volunteers and Irish Citizen Army took part side by side, and after a volley was fired over the grave side, Michael Collins delivered the short-sharp oration quoted above. 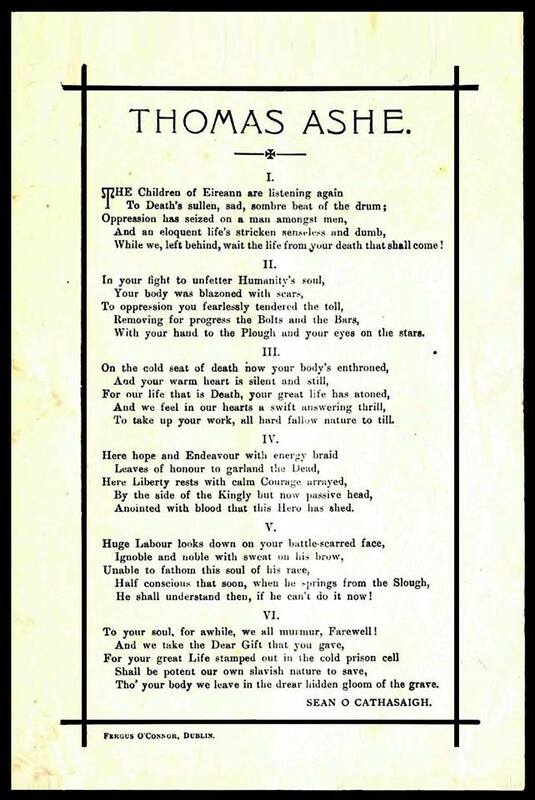 Not as lengthy or as eloquent as that delivered by Padraig Pearse at the Graveside of O’Donovan Rossa two years earlier, but in many ways as powerful and fitting for it’s moment in Irish Revolutionary history. 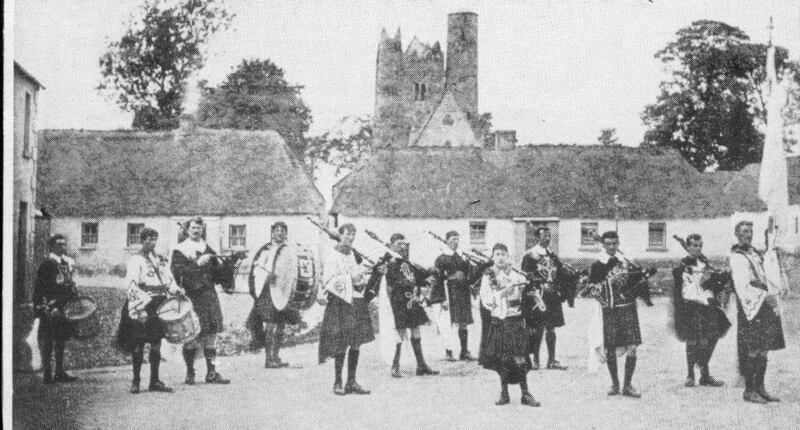 Thomas Ashe (third from left) in the Black Raven Pipe Band. “Labour has reason to mourn the loss of Thomas Ashe: he was ever the workers’ friend and would have always been their champion … it would be well if every Sinn Feiner followed in his steps”. 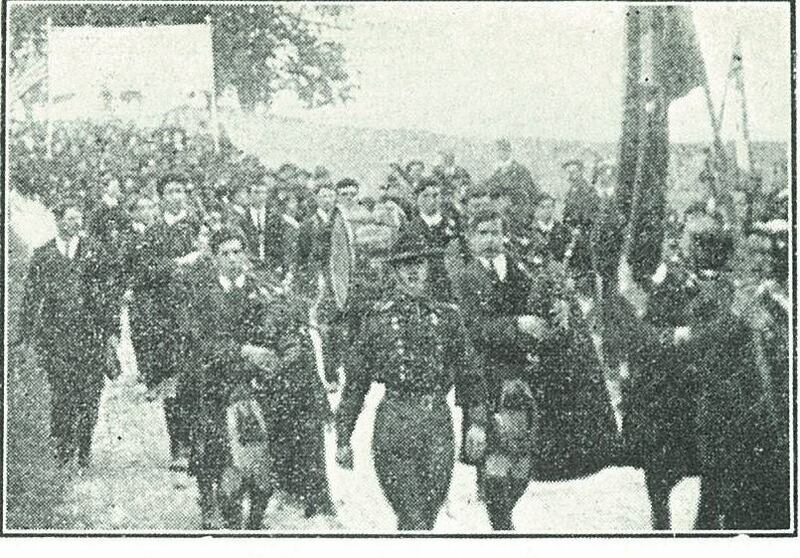 Amongst the firing party at the funeral was Irish Citizen Army member John Whelan (believed to be fourth from left in photo). In 1935 Whelan moved to number 64 Seaview Avenue, where he lived until his death in 1960.